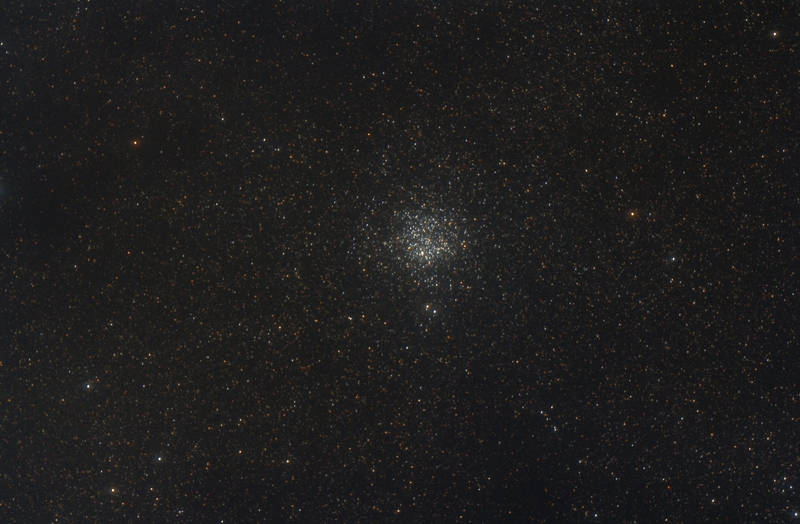 With the Moon just rising I had a few minutes to capture this image of M11 and the gas clouds of the Milky Way. It is a testament to the noise performance of the 60Da and the dark, transparent skys of the St.Croix Observatory. Image stacked and calibrated in Images Plus. Multiscale decomposition used to produce a mask for increasing the dust cloud contrast using a masked stretch on a background layer made using the feature mask. The star and brightened background layer were recombined and a slight star shrink applied. the image was then binned for web display.